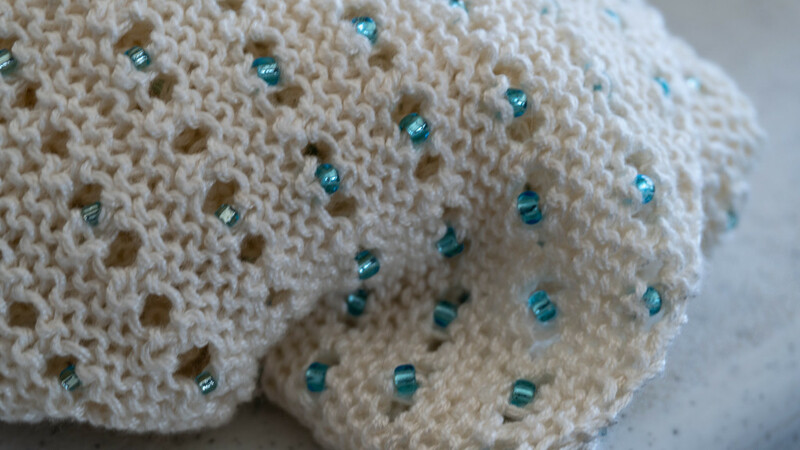 A close up view of my friend Elsie's Hitchiker scarf. It debuted around her neck today. I loved the color of beads she chose. And trust me, the scarf is so soft! Beginning today, I'm going to have difficulty viewing your photos. I plan to catch up as soon as possible, for I know I'll be missing some good images. Enjoy doing what you're planning instead of 365ing!! Look forward to the photos!! Lovely work. Hope everything good with you. Take care. What a beautiful scarf. Must have been a lot of work making that! Thanks Gary, Dawn, Jackie & Jo. She really did a lovely job on this scarf. Everything's fine here. I waited too late to do my "assignments" for photography club and expected to be doing that all day today and tomorrow, interrupted by several appointments. Luckily I had some satisfactory results for tomorrow night's meeting. @jamibann Thank you Issi. I'll tell my friend you said so. She said she had been working on it for two years. Working with the beads which are put on one at a time made it not a good project for taking somewhere to work on. @fbailey Thanks Felicity. If you ever decide to do that, google directions to add the beads with a crochet hook. Easier than string a gazillion beads on yarn and having to knit it up that way. @cocobella Yes it is. Thank you. wow, that is lovely with the beads! @overalvandaan It really is lovely and even better in person. Thank you Saxa.